Here is some of the best advice my friends gave me before I set off to travel around the world solo. On a vacation, you can hop from one city to the next. After a few weeks, that kind of thing is not fun at all. It’s expensive. And it’s exhausting. My favourite memories were made when I dedicated significant amount of time to something. 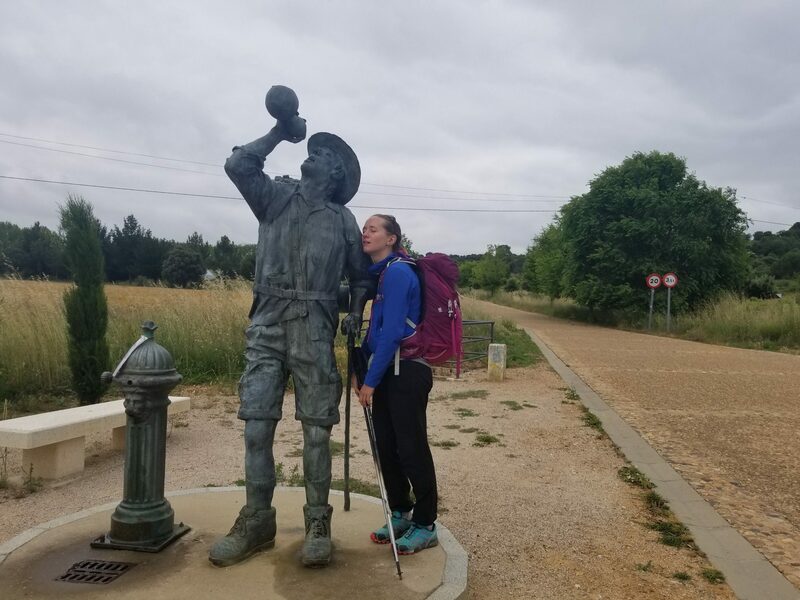 I was worried about how much time the Camino was going take — almost six weeks in total. But time went on, I wish I had even more time to give to it. You don’t not get to make friends this cool — or walk across Spain — in just a few days. I’ve made a few unsafe decisions in an effort to save money. In order to not scare my mom too much, I’ll just share the latest one where I ended up fixing things!! Last week, a hostel I booked online turned out to be super sketchy in person. They had converted an old hotel room into a “hostel.” And then they randomly assigned the beds, which were pushed next to each other. So I could be asleep and a guy I never met before could have crawled into bed next. Seriously. I felt very uncomfortable once I saw the room layout. This was after I had checked in and paid. But I did not cause a fuss. I went out with friends and tried to forget about it. But I could not forget about it. I ended up leaving dinner, picking up my stuff and moving to another hostel. Even though I couldn’t get a refund, it was the right choice. Luckily my friend Claire came with me for emotional support! Thank you, Beth, for this one! Many people think about what country they want to visit. But your days are quite long when you’re not working. What are you going with all your time? I felt myself drawn to pursuing spiritual growth. I planned lots of long distance walking and a meditation course. When I was being a tourist, I took every opportunity to learn about the religious and spiritual practices around the world. This was kind of hard because I felt like was “wasting time.” Like, who just watches Netflix when they are in Barcelona!!! But I just totally ran out of energy sometimes and had to stop new things from happening. Some things must be booked in advance. Figure out what those are and take care of them. But keep those sorts of things to a minimum. I found Lonely Planet books are fantastic at providing advice quick overview on what needs to be booked ahead of time for different locations at different times of the year. If you get a Kindle Unlimited subscription for while you are travelling, you can read all the Lonely Planet books you want for no extra cost. Another tidbit from my friend Beth wisely told me to start and end your trip with something easy. This is the bread of the sandwich. In the middle of your trip — the meat of the sandwhich — put the hardest stuff. Right now, I am winding down my adventure with a few days in Azores. There is lots of natural beauty that is accessible by bus! Chill island vibes. And really gorgeous, affordable hostels. The perfect way to wind down my epic trip. Why do I have full sized contact solution, shampoo and conditioner? Why do I have a warm coat? Why do I have a Kindle when I can read stuff on my phone. Why?!?! At two months, I was messaging friends and telling them I was not coming back. That mood has come and gone. At four months, I can not WAIT to be home and see all my people! One of the many people I’m missing.